• PLOT SUMMARY: By Simon Furman, Adi Granov, & Linda Bergkvist In a war without limits, against an enemy without number, a radically new breed of soldier is the only possible response. As the Dark Matter forces of the Progeny sweep through the universe, deconstructing the very stuff of space itself, five recruits step into the firing line, wrapped in living battle-suits. Unknown to them, though, they've been selected not to do... but rather to die! 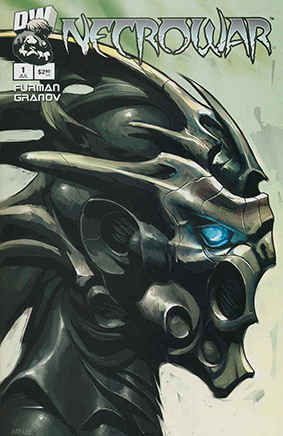 All-new, sweeping Sci-Fi action from Simon Furman (Transformers: The War Within) and hot new talent Adi Granov!